Washington – President Donald Trump falsely claimed that “Puerto Rico got $ 91 billion dollars” in disaster relief funds to mitigate the disaster caused by Hurricane María, but, how much money has really arrived to the island in federal recovery and reconstruction funds? 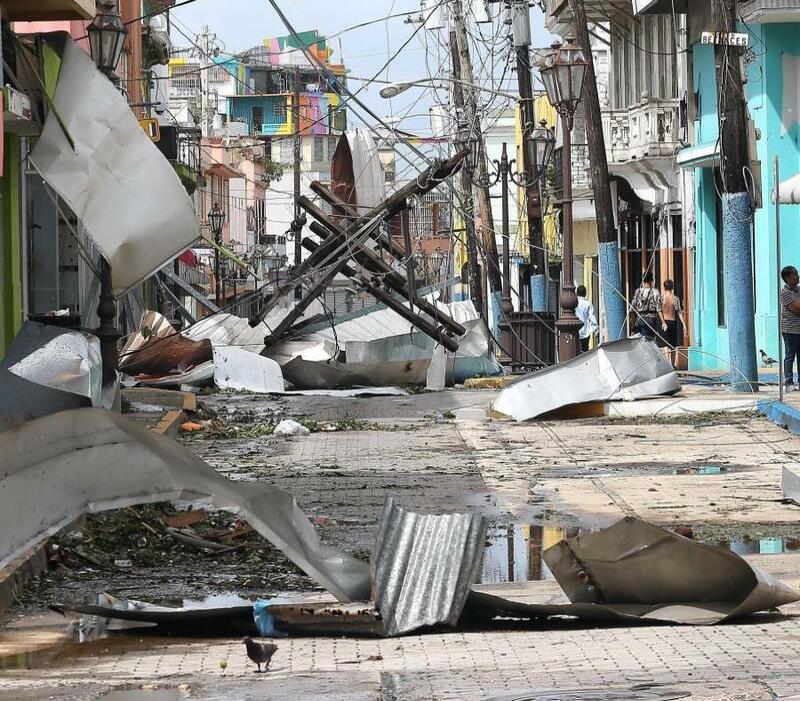 A revision of the data provided by the U.S. and Puerto Rican authorities to verify the most recent statements of government officials, the conclusion of an analysis by El Nuevo Día is that funds allocated to address the emergency, recovery and the reconstruction process is about $ 45.7 billion. Disbursements, including funds the federal government spent on restoring the island´s power infrastructure, loans and Medicaid funds to ease the government's fiscal crisis, reach $ 20 billion. However, funds directly available related for Puerto Rico´s reconstruction remain at $ 1.507 billion from the US Department of Housing (HUD) Community Development Block Grant Disaster Recovery Program (CDBG-DR). According to the federal government, Puerto Rico has only used $ 42,000 of the funds released under the CDBG-DR program. Although official figures have changed little in recent months, those who listen to government authorities face a puzzle of different numbers. Although President Trump told Republican senators in a meeting at the federal Capitol, and then tweeted, that Puerto Rico had received $ 91 billion, the White House later recognized – in a document defending its response to the emergency caused by Hurricane María and accusing the island´s government of having a history of corruption – that that number was not real. The current official White House estimate is that the federal government has allocated $ 41 billion for Puerto Rico disaster recovery and that the other $ 50 billion could be spent in the future. Governor Ricardo Rosselló Nevares tweeted that they have only received $ 300 million. The governor also stated –creating even more confusion- that "Puerto Rico has not been able to spend a single dollar of the money already appropriated by Congress." Resident Commissioner Jenniffer González says the data she has gathered indicate that the island received $ 50 billion. In any case, it is false to say that disaster relief funds for Puerto Rico have far exceeded funding for other states hit by a natural disaster, as President Trump argued. According to Associated Press, damage caused by Hurricane Katrina in Louisiana and other southern states cost the government more than $ 120 billion. $ 51 billion for recovery and reconstruction after Hurricane Harvey, which along with María have been the most powerful storms recorded in recent years. As other experts have noted before, a FEMA spokeswoman in Washington warned yesterday that disaster comparison does not provide an accurate representation of disaster funding because there are many variables and elements that are very different from place to place and from disaster to disaster. Unfortunately, it´s not possible to see the breakdown of disaster relief appropriations and disbursements made to the island since there is no such platform in the federal government. Although Governor Rosselló Nevares insisted that he has set the "most transparent reconstruction" after a natural disaster, the Central Office of Recovery, Reconstruction and Resilience (COR3) website provides partial information on the promised allocations and only includes disbursements made by FEMA. Although it was requested, the Department of the Treasury did not provide information on how much money in federal disaster relief has reached the Treasury. On Wednesday, El Nuevo Día reported on a White House document that, among other things, states that “Congress does not need to appropriate more funds for the recovery effort in Puerto Rico,” which suggests that the rest of the funds may come from reconstruction projects authorized by FEMA. Despite President Trump's reluctance regarding new recovery or reconstruction funds for Puerto Rico, there are bills pending in Congress proposing to allocate between $ 605 million and $ 1,067 billion for the island´s recovery. Amid the crossfire between Rosselló and Trump, La Fortaleza Public Affairs Secretary Anthony Maceira acknowledged that they will need to overcome the President´s objections to gain access to the billions of dollars that rebuilding the power grid would cost. According to Governor Rosselló Nevares´ plan, only modernizing the transmission and distribution systems will require more than $ 16 billion in federal assistance. The last version of the Puerto Rican government´s fiscal plan estimates that the island would receive $ 78 billion in federal funds for recovery and reconstruction. Of that total, they estimate that $ 46 billion will come through FEMA assistance for public agencies, including permanent works. They also count on $ 19,946 billion in CDBG-DR funds already allocated, $ 2,5 billion in FEMA assistance to individuals and families, and $ 9,5 billion in "federal missions" programmed by the U.S. government, which should include the funds used to restore the power grid.